Figuring out the demographics of your ideal customer is relatively easy. There’s data from your own business experiences as well as Google Analytics to guide you. 1. What information do you want to know? Create a list of the basic information you want to know about your ideal customer. For Example: Age, Gender, Ethnicity, Married, Children, Location, Languages. 2. What do you already know? Check your Zoho CRM. Have you customized any fields already? If not, here’s a quick How-To Video. If the demographic information is important for you to reach and connect with your customers, then create custom fields in your CRM to identify and track those particular items. Go through your past customers, current customers, and even prospects and fill in everything you already know. Here I created custom fields to identify the Gender and Age Range of my Leads and Contacts. 3. What don’t you know? Let’s find out! Now it’s time to turn to Google Analytics. Go to Audiences > Demographics > Overview. Remember to set the date range to the past 6 months – that should provide enough data for you to work with. This report provides age and gender in graphs. Keep in mind that some people choose to not disclose information, so this will not be perfect or 100% accurate. However, it does provide you a good idea about general trends of your website visitors. This report defaults to a country by country breakdown, but you can go to the state view, metro view or event city view. Do you know what your ideal customer is struggling with most? Have you ever asked? Can you describe the ideal solution or dream solution that your customer wants? What else is your customer interested in that is indirectly related to your business? Maybe you have defined the pain point that your business addresses, but you do not clearly understand your ideal customer’s dream or ideal solution. Most likely, you have not considered related interests. If your customer loves visiting your hotel on a regular basis, then perhaps he or she is a business traveler. What other information would you like to know about the interests of a frequent business traveler? When you meet a new customer, asking about their initial issue or problem is a great way to better serve them and improve your business. If you are asking good questions and recording their answers in your CRM, then you are ahead of many other small business owners. Congratulations! If you do not know how your ideal customers would describe their pain point or ideal solution, then do start by thinking back on conversations you’ve had with them and come up with some rough estimates. As always, it’s wise to track the information you collect in your Zoho CRM using a custom field. The reason for using a custom field over notes is that you can pull a report with all of your customers based on the fields. Then you can review any patterns in what people have in common. 3. What don’t you know? Let’s see if Google Analytics can help! This report will show you 3 boxes: Affinity Categories, In-Market Segment, and Other Categories. Keep in mind that these are very broad-ranging groupings based on information available in a webpage’s cookie. If you would like to dig further into understanding this, then check out the FAQ from GA: About Demographics & Interests. Note that if you have not previously activated demographics or interests, then this section will be empty. This is a good time to activate it for future use. Just as it was with demographics, it’s important for you to remember that referencing these different categories is not precise in Google Analytics. It is a broad estimate of the topics your website visitors are interested in. Look at details beyond the number of sessions to understand who your ideal customers are. They may be the people who are spending the longest amount of time on your website (duration). Or you may want to add a secondary dimension to your report to see what their landing page or exit page was while visiting. The people spending time on your contact page or about page may be higher value than those who just read blog posts and leave. The complete list of Affinity Categories and In-Market Segments is available for you here. How did this person find you in the first place? Who or what introduced them to your business? 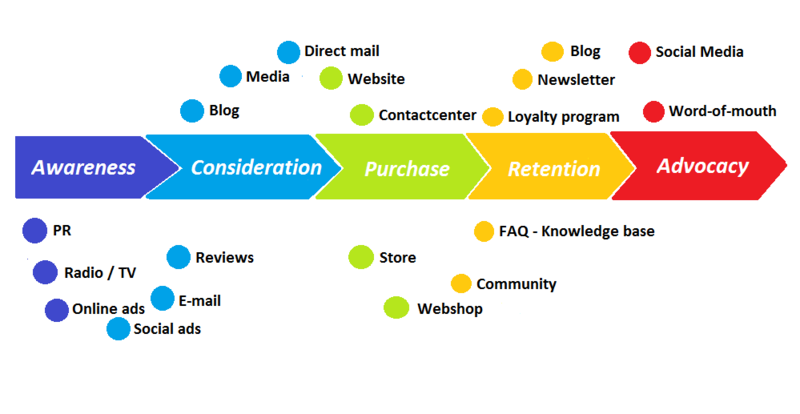 This is part of the customer journey. 1. What do you already know? Are you already asking customers how they heard about you? 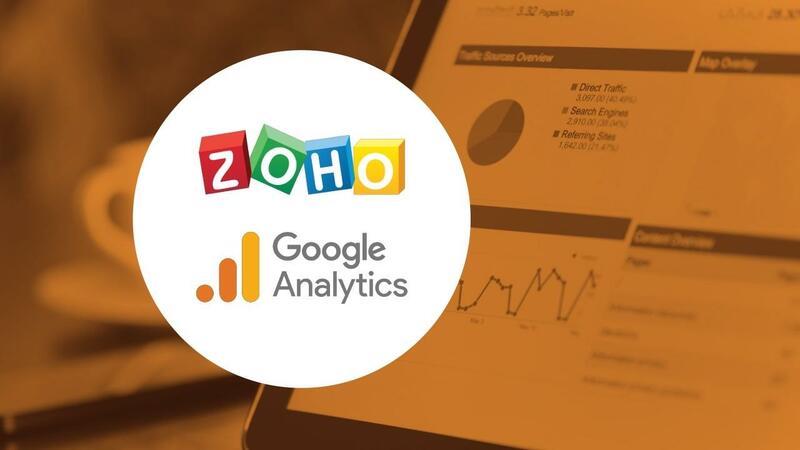 Are you tracking it in your Zoho CRM? Zoho comes with a pre-set field called Lead Source, and I recommend editing that options to make it work for your own business. For example, I get leads from both clients and partners. Since I’d like to differentiate between the two when I pull reports, I created custom options for “Client Referral” and “Partner Referral” in the Lead Source field of my Zoho CRM. In addition, I added a single-line field called “Lead Source Detail” and a look-up field called “Referral Contact” so that I can also track any other specifics. I often meet people at events, which is great. It would be even better if I could track which specific events were helpful for meeting new prospective clients. The Referral Contact field lets me search for any contacts I have in Zoho CRM already to identify the specific person who referred a prospective lead. This is a great feature to use when you pay out referral commissions or just want to show your gratitude to those top referrers. 2. What else don’t you know? Google Analytics can help. The Acquisition section of Google Analytics is my favorite because I always learn so much about my audience there. In the case of understanding how people first discovered you and your business, you’ll want to look at Source and Medium. Definition from Google Analytics: Source/Medium describes where your traffic comes from. The Source is the place users are before seeing your content, like a search engine or another website. The Medium describes how users arrived at your content. Values for Medium include “organic” for unpaid search traffic and “none” for direct traffic. Custom values you define for Source and Medium will also be included in this dimension. When you view this report, you are likely to see things such as direct, Google, Facebook, LinkedIn, and your email provider. Note that the mobile versions of social media show up separately from the desktop versions. Twitter, for example, will show up at t.co / referral. Since this report is so robust, I like to use the secondary dimension and advanced filtering to help me see the best results. For advanced filtering, I set Avg Session Duration to greater than 10 (10 seconds). For my secondary dimension, I like seeing the exit page because it helps me understand the customer experience before they left. These are just a few ways that you can gather more information about your ideal customers. There are so many different ways you can learn more about your customers: surveys, social media, interviews, census data, and so much more. What matters is that you have an understanding of your ideal customers to better serve them and improve your business. If you’re running Google AdWords, then you may want to read this article: Integrating CRM Data with Google Analytics to create Google Ads Remarketing Audiences. You can also Download the Free Customer Persona Template here.